Why buy a used car when you can drive a Nissan Certified Pre-Owned vehicle? With a Nissan Certified Pre-Owned (CPO) car, SUV or pickup truck, you get the reassurance of quality from Nissan, as only Nissan vehicles that meet the high standards of the manufacturer can qualify as Nissan CPO. To qualify for the Nissan CPO program, a Nissan vehicle must be within six years of its original in-service date and possess fewer than 80,000 original miles. Plus, each Nissan must have a clean, non-branded title and pass a comprehensive 167-point inspection process, conducted by Nissan factory-trained technicians. If any reconditioning is needed after the rigorous inspection process, genuine Nissan parts or Nissan-approved components and fluids are used to ensure that the vehicle lives up to the standards of Nissan and the Nissan CPO program. Considering a Nissan CPO makes a lot of sense, no matter if you initially were shopping for a new or used car. Beyond the extensive inspection and reconditioning process, vehicle history report and vehicle age and mileage restrictions of the Nissan Certified Pre-Owned program, every Nissan CPO vehicle comes backed by a 7-year/100,000-mile limited warranty from Nissan, honored at Nissan dealerships and service centers throughout the country. Enjoy peace of mind knowing that your pre-owned car features many of the benefits of a new Nissan but with a reduced price! 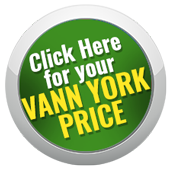 Whether you are looking for a nearly-new, certified pre-owned Nissan Rogue, Altima, Pathfinder, Titan or another Nissan model near Greensboro or Winston-Salem, NC, be sure to shop at Vann York's High Point. Our Nissan dealership in High Point, NC stocks an extensive collection of certified pre-owned Nissan cars for sale, with more arriving regularly.